There are a number of innovative heart rate monitors available that can make small yet significant changes to your health. To help you care for your heart, we've done the research and compiled a list of the best heart monitors. When it comes to popularity and a variety of features, Fitbit takes the cake. Years of experience combined with impressive reviews guarantee a quality product. 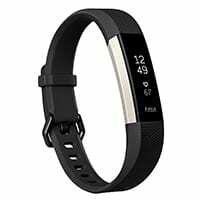 One of our favorite Fitbit products, the Charge 2, sets the bar high for heart rate monitoring. Not only is this device loaded to the brim with cutting-edge features—it’s also accessible and easy to use. If you or a loved one has a hard time with high-tech gadgets or reading small text, consider the Fitbit Charge 2. 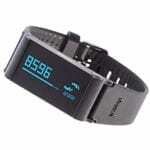 Its wristband provides easy navigation and a large display to ensure you can read the important details on the screen. 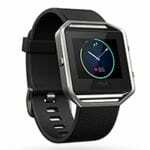 Fitbit’s PurePulse technology provides constant heart rate tracking from its wrist-based monitor. It will automatically notify you of your heart rate and heart rate zones. The Charge 2’s breathing sessions help you breathe in rhythm, which has been proven to lower blood pressure and reduce stress. Each session uses your real-time heart rate to measure variables and determine a comfortable breathing rate. A large LED display makes it easier to see information, especially if you have diminishing eyesight. You can also customize clock faces to best suit your personal taste. With the Charge 2, you’ll receive friendly reminders to move to help you reach a goal of 250 steps per hour. This proves handy for older adults who may not take the time to exercise. Coming in at just under $150, Charge 2’s price tag is its Achilles’ heel. But we believe it’s one of the best available heart rate monitors on the market today. If you want a more basic heart rate sensor at a more affordable price, consider other heart monitors that made our list. Charge 2 has a battery life of up to five days only. Fortunately, the simple charging process takes only two hours. Coming in as a solid runner-up, Fitbit Alta HR falls just shy of our top pick. But when it comes to innovative design and comfort, the Alta HR is at the top of its game. Unlike most heart rate monitors, the Fitbit Alta HR features a slim, polished screen, which makes it both lightweight and comfortable. While style makes this Fitbit stand out, its primary purpose is round-the-clock heart rate tracking, sleep tracking, fitness tracking, and all-day activity tracking. Like other Fitbit models, the Alta HR has PurePulse heart rate tracking that constantly monitors your heart rate. Fitbit has continued to improve the battery life with each heart rate sensor it creates. 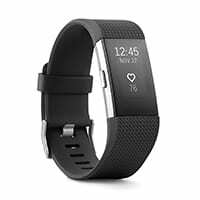 The Fitbit Alta HR has a battery life of up to seven days, beating most heart rate monitors on the market. Unlike other heart rate monitors on the market, the Alta HR monitors sleep patterns and heart rate together rather than individually. The mobile app allows you to analyze sleep patterns and quality so you can get a better night’s sleep. Touch screens are everywhere now, but they can be difficult to deal with. The same rings true for the Alta HR. You have to tap directly in the center of the tracker with some force. Despite its dependable heart rate tracking feature, it misses out on many of the Charge 2’s features, including built-in GPS, workout modes, and guided breathing. When it comes to durability and sturdiness, Garmin’s vívosmart HR is the go-to choice. Boasting a large, clear display and intuitive interface, this tracker is a smart investment for any aging adult. Along with its sizable screen and easy-to-see data, it offers a plethora of features for less than $100. The vívosmart HR uses smart Elevate technology to track your heart rate from its comfortable wrist band. Likes its name implies, this fitness tracker and heart rate monitor also syncs with your smart phone—it displays any messages and alerts that show up on your phone. Even though it has a slim design, the vívosmart has an easy-to-read screen. 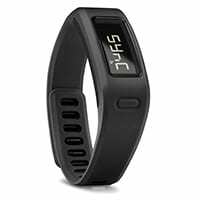 And its comfortable, durable silicone band won’t be a pain to wear all day. 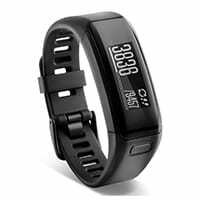 Many users rave about the vívosmart HR, but there are also a number of reviews that ding this model for inaccurate step counting and sleep monitoring. If it seems like we keep going back to Fitbit, it’s because we keep going back to Fitbit—and with good reason. As a solid runner-up, Fitbit Blaze proves to be a quality heart rate monitor. It goes above and beyond simple heart rate monitoring by offering connected GPS, on-screen workouts, calories burned, guided breathing, sleep tracking, and much more—which can give you a daily gauge of your health and well-being. While there are other heart monitors that are easier to use, it’s important to note that the Blaze has high-tech features and few limitations. Plus, it doubles as a smartwatch. Because of this, the cost is pretty steep, coming in around $175. The Withings Pulse O2 is a dynamic fitness tracker that continues to rise in popularity. While it’s not quite on par with Fitbit products, it does offer something unique. Its claim to fame is its ability to monitor heart rate and blood oxygen levels. The Pulse O2 also lets you view activities on the Health Mate app by using Bluetooth to pair with your phone. Our favorite part of the Pulse O2 is how versatile it is. It comes with a band and a clip, so you can wear it on your wrist, clipped to your clothes, or in your pocket. To track heart rate, the device must be worn on the wrist. Fitness and heart rate trackers can cost a pretty penny. 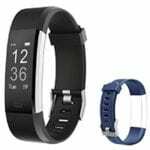 If you’re on a budget and still want to monitor your heart rate, consider Letsfit Fitness Tracker HR. For just around $30, you’ll get heart rate tracking, activity tracking, sleep tracking, and SMS notifications. Plus, this tracker receives respectable customer reviews on Amazon, with an average rating of 3.9 stars from over 1,110 ratings. What important features should heart rate monitors have? To give you the clearest picture of your health, your heart rate monitor should be as accurate as possible. The best heart rate monitors have a simple design that’s easy to read and easy to use. That kind of design makes regularly checking your heart rate a painless task. Along with a large and clear screen, an LED display makes it easier to see information on the screen. Today’s gadgets tend to be power drainers and, unfortunately, require frequent charges. To make your life easier, choose a heart rate monitor that has a decent battery life. What’s better than a good night’s sleep? Turns out, adequate sleep can lead to superior health for both young and aging adults. Many heart rate monitors and fitness trackers help you get the best sleep possible thanks to their sleep tracking, insights, schedules, alarms, REM stages, and more. To get an adequate view of your heart health, it’s important see your continuous heart rate. This will help aging adults manage stress, understand resting heart rate, optimize exercise, and reach daily activity goals. Swimming can help you improve heart health, increase flexibility, improve muscle strength, ease joint pain, and reduce the risk of osteoporosis. With that in mind, waterproof heart monitors are a great investment for older adults. What is the standard resting heart rate? Your resting heart rate can help identify potential health problems and gauge your current heart health. If you’re sitting or lying down, your heart rate should be between 60 to 100 beats per minute.1 Remember, when it comes to resting heart rate, lower is better. What is the standard target heart rate? What are the different types of heart rate monitors? Home heart rate monitors come in two styles: a classic chest strap or a wristband tracker. Chest straps use an electrical pulse to read heart rate, while wristbands use optical technology. Although wristband monitors are the more popular choice, chest straps offer more accurate and continuous heart rate information. However, they tend to be expensive and less comfortable. We recommend wristband heart monitors for aging adults since they’ll be much more comfortable to wear all day. To pick the best heart rate monitor for seniors, we evaluated hundreds of consumer reviewers and expert opinions. We also considered value, accuracy, pricing, consumer interest, and smart capabilities. Our team carefully details both advantages and disadvantages of each gadget so you can make an informed choice for your personal health needs. To find out more about how we select our best picks, take a look at our methodology.